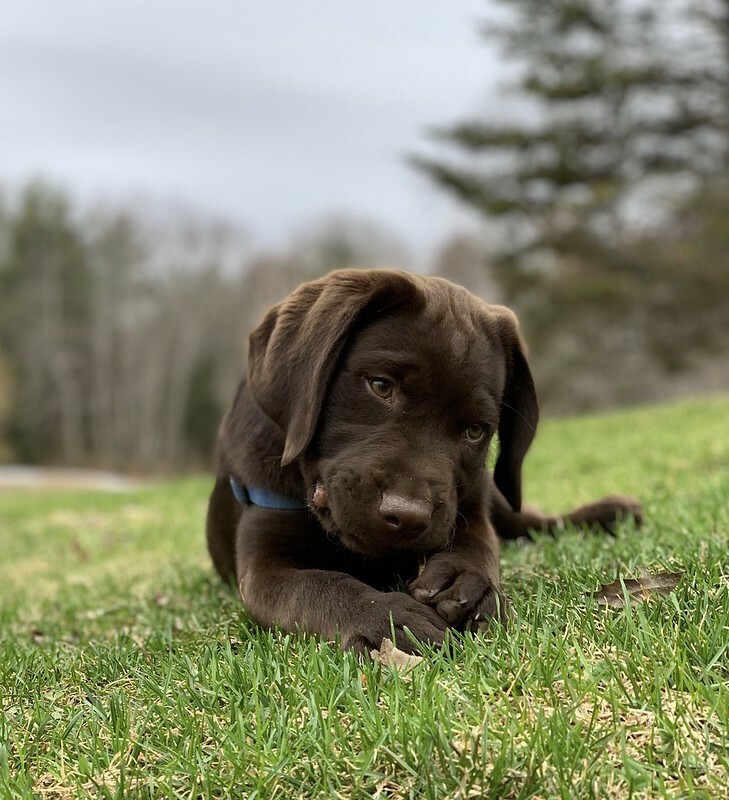 Meet Trooper, he is an active 12 & 1/2 week old chocolate male. He loves people, and other dogs. He would make an excellent hunting dog/family companion. Or an active family companion. He loves to retrieve, go on hikes, car rides and hanging out with people. If his needs are met, and gets the exercise he needs he is calm in the house. He is completely crate trained and working on house training. He’s doing well with his basic obedience . He’s great with off leash walks in the woods and on the trails. Trooper is $2,500. And only available to an experienced home. Contact Frances by email or phone for more information.